OPEN HOUSE 4/27 12-3. 4/28 12-3 Mid Century Single Story, mature trees, low maintenance lot, located in high demand Altura Park Neighborhood, One block from park. 3 Living areas, 4 bedrooms, 3 baths. Kitchen is freshly painted with new refrigerator, microwave.. Skylights & windows provide natural light. Private backyard. 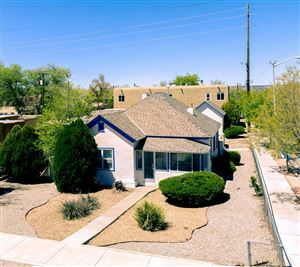 Close to UNM, Nob Hill, KAFB, Sandia Labs, hospitals, Whole Foods, downtown, restaurants, & shopping. 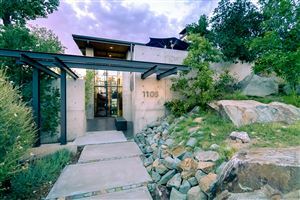 Enclosed center courtyard, ideal for entertaining year round, includes hot tub. Custom home separate second master bedroom and living room which could be perfect for in-law qtrs. or multi-generational family living. Need a game room? 3rd living area is large & space for pool table. Over sized 2 car garage. New roof October 2018, heater, cooler, hot water heater all newer.